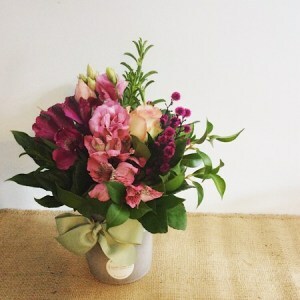 Floral arrangements are made into a container. 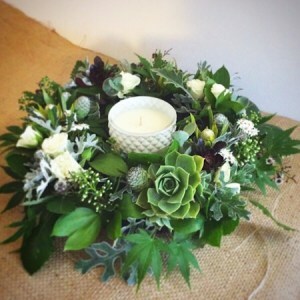 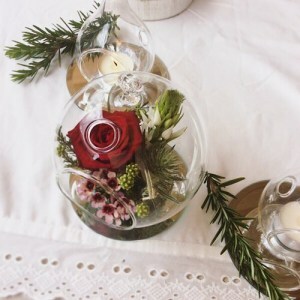 The container is filled with floral foam (oasis) which holds the stems in place and allows the flowers to drink water. 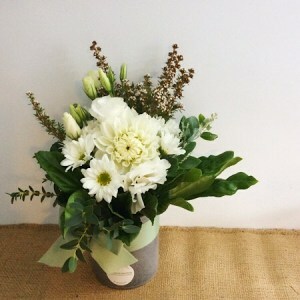 The most common containers used are boxes and ceramic pots which you will find on this page. 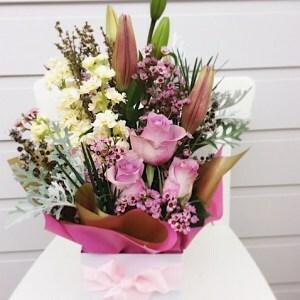 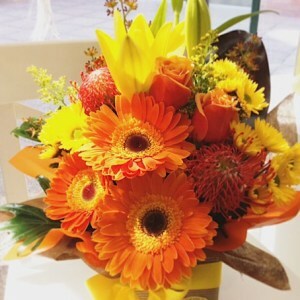 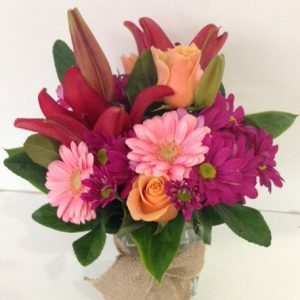 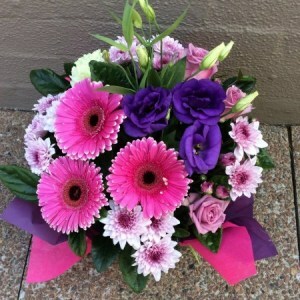 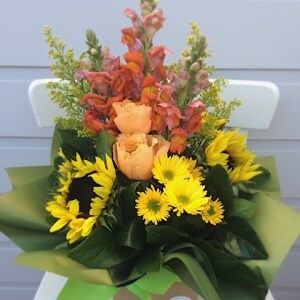 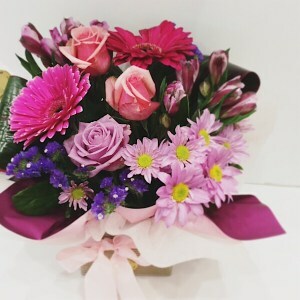 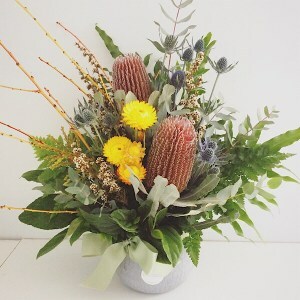 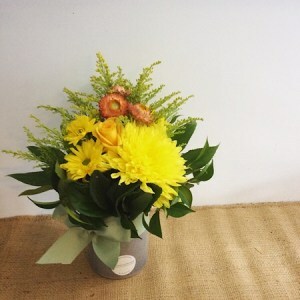 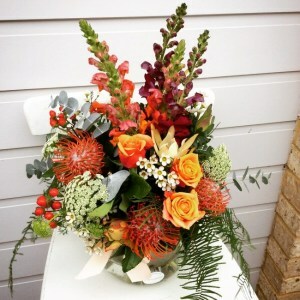 Flower arrangements are a good choice if your flowers are being sent to a hospital/work place as they do not require a vase and are self-contained and easy to look after. 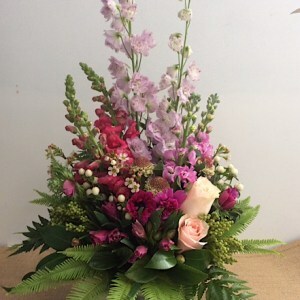 The only care they require is more water added every day to prevent the floral foam from drying out to keep them looking beautiful and fresh. 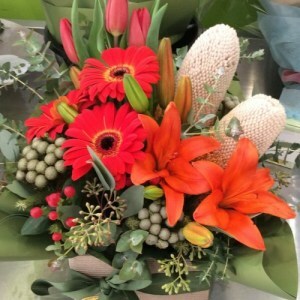 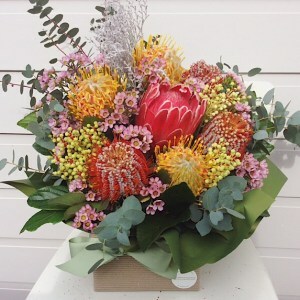 Please note that whilst we stick as close to the style and colours of the product you have chosen each arrangement we make is unique to allow for seasonal variations in availability.